I love a bargain. So for me, every trip is a treasure hunt for really good wine, at really good prices, that I can’t find at home. But a few years ago I received an expensive surprise. After an amazing week in Sonoma I dropped our group off at the San Francisco Airport so they could check in for our return flight while I returned the rental car. Just as I got back to the terminal my phone rang. The airline (AirTran [now a part of Southwest]… yes, I’m bitter) refused to accept our wine as luggage. 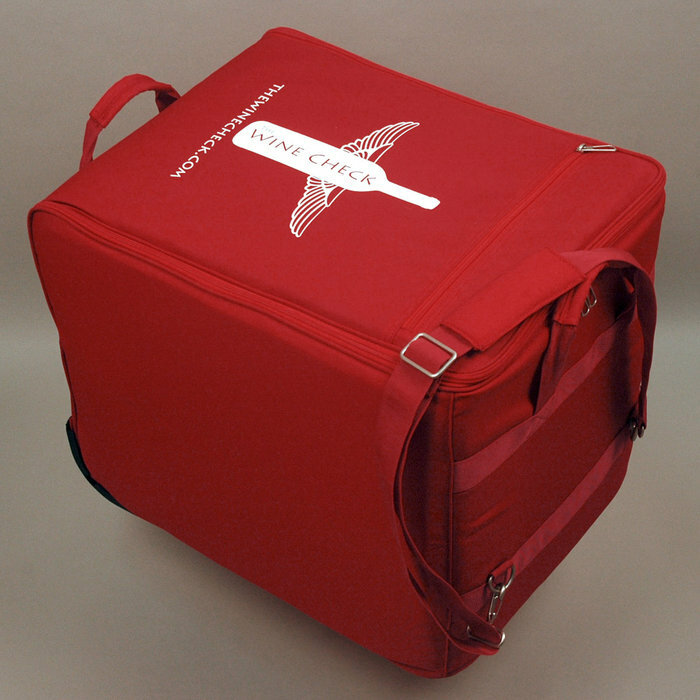 Six cases!… all professionally packaged in accordance with the airline’s published rules… It was a non-negotiable local policy enacted by the airline’s local manager, and we had assumed that after ten years of hassle-free wine shipping with other airlines that this one would be no different. They all have their plusses and minuses and your choices may be further limited depending on which state you live in. Regardless of which you choose, understanding your options can save you a fortune. So long as it’s packaged properly, most airlines accept wine without question, but as we learned, always check policies before you leave. Expect to pay $25-$35 per case and sign a waiver releasing the airline from liability if your wine is damaged. My strategy is to pack lightly enough to fit all of my clothing into carry-ons, thus saving the checked luggage allowance for wine. Whatever you do, DO NOT use the flimsy retail boxes. They are not designed for shipping! Airline employees have told me stories of wine waterfalls flowing from the baggage compartments of airliners as a result of these boxes. Getting a winery to ship your wine will usually be the next cheapest option. Bought way too much wine to affordably check as luggage. Are on an extended trip where hauling your wine for a couple of weeks in the trunk isn’t practical. 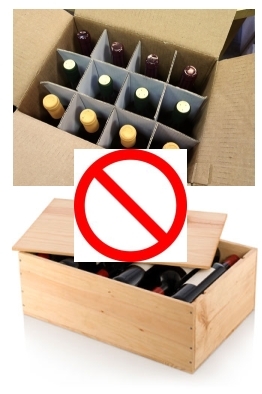 NEVER ship wine in retail cases! If you’re buying by the case, most wineries make the offer to ship as a standard part of the transaction. Upon request most will hold onto your shipment for a week or two if you won’t be home for a while. If you’re a wine club member they may even bundle it into to your next wine club shipment and you can probably sweet talk them into shipping a mixed case that you’ve compiled from other wineries. Dropping your wine at a shipping outlet can be a good option if you can find one. 1. Everything is packaged professionally and all of the supplies are right there. 2. 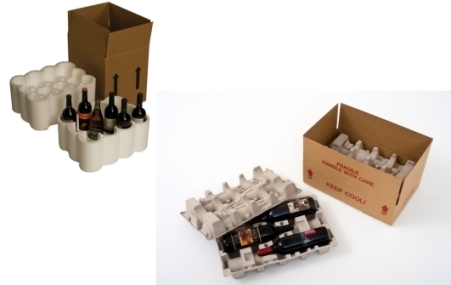 Easiest way to ship mixed cases of wine from multiple wineries. 3. They often have licenses to ship into states that wineries can’t. The biggest con is that everything ships immediately – there’s no option to hold back your shipments. This is important if you still have more traveling to do, if the weather is too hot at home for wine shipping. Paying a company to gather your wine and ship it at your convenience is the most expensive, but also the most convenient method. Often these companies will gather your wine purchases for you from wineries and hotels, or you can save a few bucks and drop it off yourself. Your wine is then held in a climate-controlled warehouse until you tell them to ship it. This is a huge pro if you’re traveling in the summer and don’t want to risk heat damage, or if you don’t want to cart your wine around with you. The cons are that they are expensive (between $40 and $150 per case plus $30-$100 a month for storage), and somewhat restricted to how many states they will ship to. The smaller ones also only have agreements with certain hotels and wineries, which may limit the convenience factor. Two of the more reputable companies are Safe Haven (California Central Coast) and 55-Degrees (Napa/Sonoma). As always, thanks for stopping by and we welcome your feedback! This entry was posted on August 4, 2014, 7:47 pm and is filed under Wine Travel. You can follow any responses to this entry through RSS 2.0. You can leave a response, or trackback from your own site.